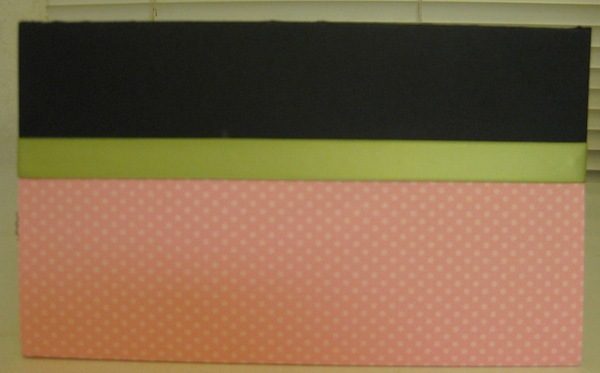 The Coupon Holder I have created for the February Gift Central Club is quite a bit larger than the normal sized coupon holder. As you can see in the photo at left, the apple front one is the standard size that would fit in a handbag or a purse. The one I’ve made is quite a bit larger and would not so easily go in a handbag or purse. The one I created measures 9-1/4″ wide by 5-1/4″ tall. 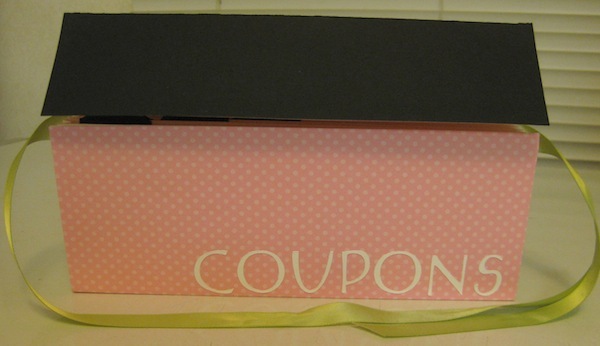 If a person doesn’t use coupons this would be a decorative way to keep paper scraps in that you just can’t bring yourself to throw away. I keep all sizes of small pieces of scraps. I hold the piece for a while debating whether it is to go in the trash or be saved. Most times I keep it because it just might fit in a punch and I won’t need to use a bigger piece of paper. This is just in case anyone is wondering at the size since I neglected to tell that in my previous post in my excitement to get it posted. We are all having to find ways to save money. 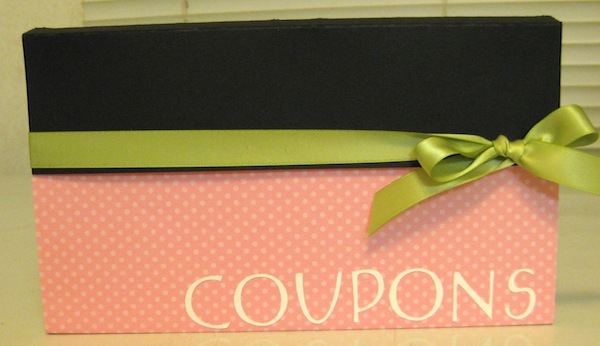 I’ve seen more people with regular mailing envelopes stuffed with coupons as they do their grocery shopping. I watched as one poor woman had a frustrating time chasing after her coupons when the envelope split and the contents spilled all over the place. I don’t know about you but, the cute little coupon wallets that are available nearly everywhere are just not big enough for my hands to fit in them. I end up with torn cuticles by the time I reach the check out counter from the tops of the dividers. Sometimes it is very painful and I just don’t want to carry that rotten thing around with me. This Coupon Holder is larger than the regular kind. 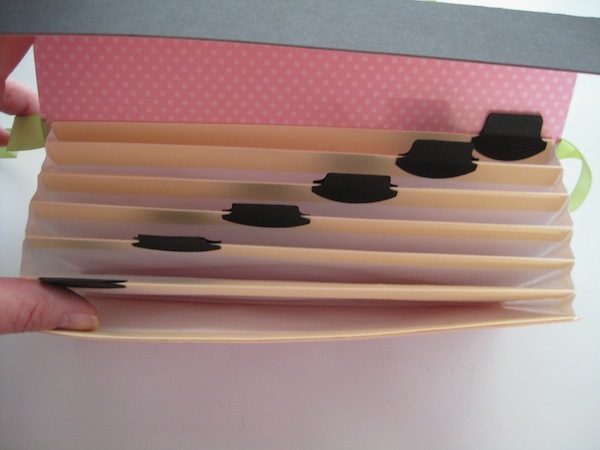 The base of it is made from a legal file folder cut down and the bottom is reinforced with a strip from the file folder. There are six business sized mailing envelopes (or the #10 envelopes) as the pockets. I have also solved the problem with the cut cuticles by using strips of the file folder to reinforce the tops of the joined envelopes. The extra reinforcement on the envelope tops takes the sharp edges away and it also gives them added strength for when I get to ramming around in there. 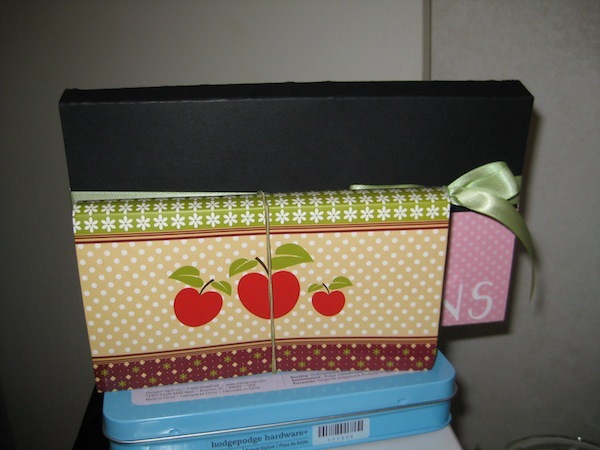 Since I have used the larger envelopes in this holder you can use it for the recipes you collect from magazines instead of for coupons. The longer length affords more room for the recipes. The tabs are cut from my Tab Punch. Before attaching the tabs to the divided pockets you can write, or use a labeler, on the tabs to designate each section. For example as a coupon holder you can have a section for Dairy, Meat, Frozen Foods, Bathroom supplies like shampoo and bathroom paper, Household items like floor cleaner or dusting products, and Beverages like coffee or soda. 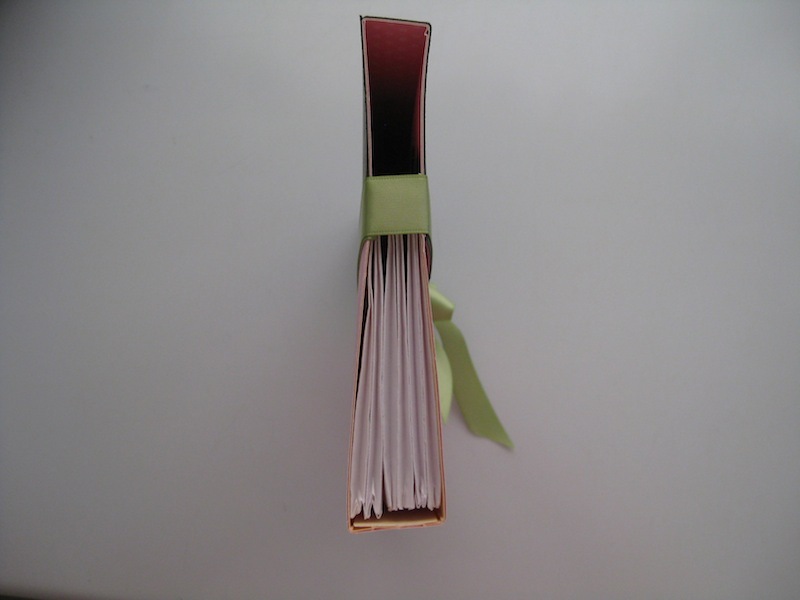 The holder is held closed with a length of 5/8″ Certainly Celery Satin Ribbon. It is securely attached on the back of the holder. You can see the envelope pockets have been gusseted for extra room inside.